It's no secret companies like Apple, Google and Pfizer are sitting on piles of cash. The question is what they plan to do with all that money. NEW YORK (TheStreet) -- Tim Cook says Apple (AAPL - Get Report) isn't a hoarder, but it sure looks like it from an investor's standpoint. The tech giant is sitting on a $178 billion cash stash, and it's not the only company with a big pile of money. The question now is what it and all of its other loaded peers will do with their stockpiles. A study from Moody's (MCO - Get Report) indicates that U.S. non-financial companies held $1.73 trillion in cash and liquid investments in 2014, up 4% from 1.67 trillion the year before. Apple has the biggest reserve, followed by Microsoft (MSFT - Get Report), Google (GOOG - Get Report) (GOOGL - Get Report), Pfizer (PFE - Get Report) and Cisco (CSCO - Get Report), which combined now hold $439 billion. While cash piles are growing, outflows are increasing as well. Among U.S. non-financial companies Moody's measured, capital spending reached $937 billion in 2014, dividends hit $394 billion, and net share buyback totaled $289 billion -- all record highs. Moreover, acquisition spending increased 20% to $322 billion. "It's all a function of how much you had to begin with and how much you generate during the course of the year or any given period," said Richard Lane, senior vice president at Moody's. "These companies have spent money on capital expenditures, dividends, share buybacks and acquisitions, and they actually have more left over. You have to also take into account that, in aggregate, these companies borrowed money." In other words, some companies, despite their high cash reserves, are borrowing money through bonds in the capital markets and bank loans to supplement spending. Why? There are a number of factors at play. In many cases, it is simply cheap to borrow, thanks to low interest expense rates. In others, they have large portions of their cash abroad and would incur significant taxes in bringing the funds back to spend. The latter is perhaps especially true for tech companies, which generate and maintain huge amounts of cash off shore. Cisco has 94% of its cash overseas, Microsoft 91%, Oracle 90%, Apple 89% and Google 60%. The result, Lane explained, is that the tech sector pays out about 30% of its discretionary cash flow in dividends, compared to 55% to 60% of the rest of the corporate universe. And when they do pay, they're using, at least in part, borrowed money, because they don't want to foot the tax bill incurred when repatriating cash. "They're using the cash that they have in the U.S., plus the amount that they generate in the U.S., plus incremental borrowings," he said. Offshore and borrowing issues aside, it is clear that a number of companies have a lot of cash to dole out. Where will the money go? Apple has been under pressure for quite some time over the size of its cash stash, which is $178 billion in total, including $158 billion overseas. Billionaire activist investor Carl Icahn has been extremely vocal about the issue since taking a stake in the company in 2013 and has pushed for buyback programs on numerous occasions. "Apple is not a bank," he said in an interview with TIME. The tech giant has upped efforts to address its cash pile, and in April, it announced plans to increase its shareholder capital return program by more than 50%. It will utilize a cumulative $200 billion of cash by the end of March 2017 by expanding its share repurchase plan to $140 billion and increasing its dividend to $0.52 per share. General Motors (GM - Get Report) , which has $28.2 billion in cash, has also caved to shareholder pressure when it comes to its stockpile. 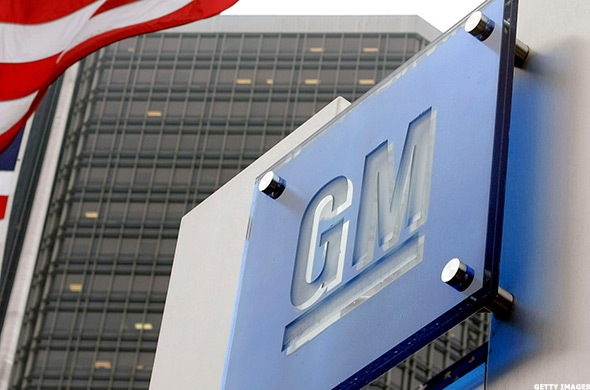 In February, a group of hedge funds backed activist investor and restructuring expert Harry Wilson in his bid to gain a seat on the GM board and push the company to buy back at least $8 billion worth of stock. "They've gone past what is prudent and smart and begun hording cash," he said in a February interview. In March, GM announced what it called a "disciplined capital allocation framework" that targets a cash balance of $20 billion. It authorized a $5 billion share repurchase program and said it expects a dividend payout of approximately another $5 billion through the end of 2016. Qualcomm (QCOM - Get Report) in March unveiled a "major increase" to its capital return program, including authorization from its board to repurchase up to $15 billion of its common stock and a 14% dividend increase. At the time, the company said it plans to buy back $10 billion of its common stock within 12 months and committed to return at least 75% of its free cash flow to shareholders. Under pressure from activist hedge fund Jana Partners, Qualcomm has since upped buyback efforts even more. The activist investment fund, which has suggested the company consider a split, has spurred the decision to accelerate $5 billion of its buyback. Qualcomm has $31.6 billion in cash. 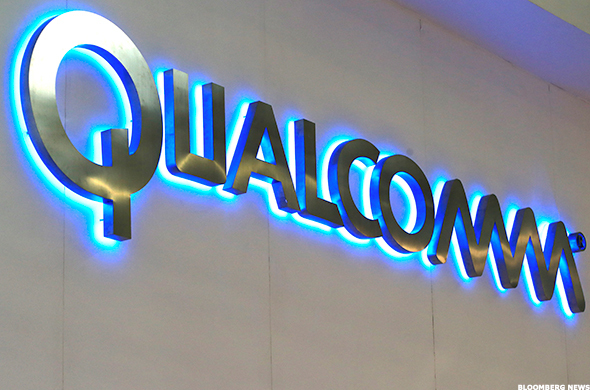 Rumblings have also begun regarding Qualcomm's next move on the M&A front, thanks to recent deals made by its semiconductor competitors. Intel (INTC - Get Report) has agreed to buy Altera (ALTR - Get Report) , and Avago Technologies (AVGO - Get Report) will pick up Broadcom (BRCM in transactions valued at $16.7 billion and $37 billion, respectively. Some have suggested Qualcomm buy Skywords (SWKS - Get Report) , while others have mentioned the possibility of a merger with Intel. 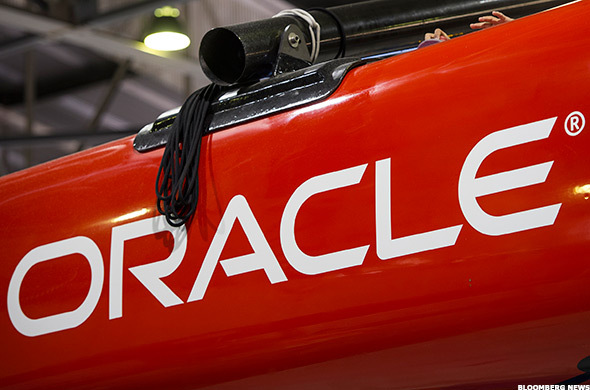 Oracle (ORCL - Get Report) may, like many of its tech peers including Cisco and Microsoft, increase spending on R&D efforts and building out data centers. "All those big companies will continue to spend money on building out data centers. That will be a very important part of their strategy," said Lane. "That means buying equipment, that means buying servers, storage gear, networking equipment, software, the physical space, the land, the infrastructure that goes into building that data center." Oracle has $44.7 billion in cash, $40 billion of which is overseas; Cisco has $53 billion, including $50 billion abroad; and Microsoft has $90.2 billion, $82 billion of which is overseas. Merck & Co. (MRK - Get Report) announced in March that it, too, would be going the route of buybacks to unload some of its cash. Its board authorized the repurchase of up to $15 billion of common stock, and the company said it plans to buy half of that amount over the next 12 months. WSJ pointed out that Merck's decision to buy back stock instead of acquiring other companies could be taken as a sign of weakness, citing comments made by company Chief Financial Officer Rob Davis earlier this year that possible acquisition candidates would be evaluated against the returns available from buying back stock. But according Richard Purkiss, managing director and senior research analyst at investment bank Piper Jaffray (PJC - Get Report) , the issue is more complex. "Sometimes, the opportunities just don't fit with the actual strategic focus of the company," he said. 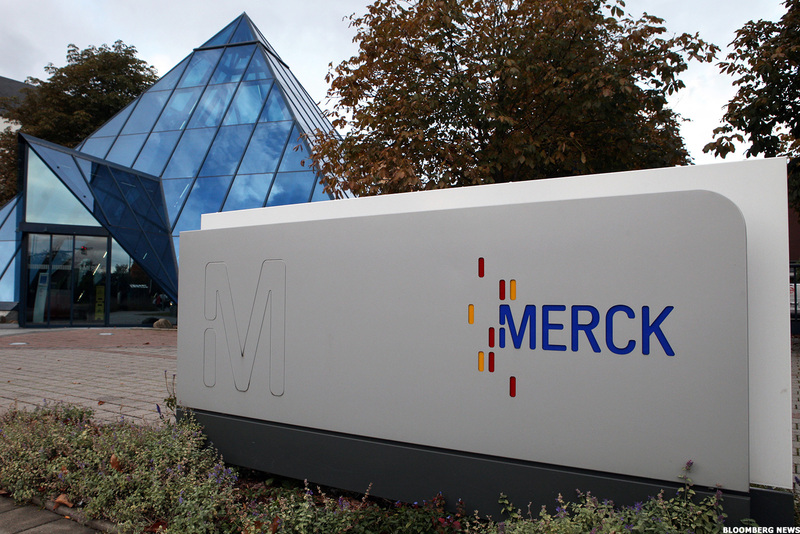 He pointed to Merck's December agreement to acquire antibiotics company Cubist Pharmaceuticals CBST for $8.4 billion -- a deal that made sense for Merck but wouldn't have for firms like Pfizer (PFE - Get Report) or Johnson & Johnson (JNJ - Get Report) . He also mentioned the possibility that the price for acquiring is simply too high. "Sometimes it just doesn't make sense to buy an early-stage company when the multiple is extremely high and you don't think it's worth taking the risk of acquiring those assets when in fact there's a good deal of risk left in the development program to really take the project to market," he said. Merck has $29.2 billion in cash. Google doesn't seem to have a problem finding companies to acquire in terms of strategy or valuations. In fact, it's quite the opposite. The tech giant has already purchased a number of companies this year, including Softcard, Toro, Timeful and, most recently, Agawi. Google historically been reluctant to return money to shareholders and considers its cash a "strategic asset." Morgan Stanley analysts issued a note on Monday suggesting that it start to utilize its "cash as a weapon" for shareholders. "Buying, dividends and their inherent signaling would also likely increase the attraction of owning GOOGL's stock," analysts wrote. The analysts made no mention of the growing crowd of onlookers who suggest that Google should consider buying social media company Twitter (TWTR - Get Report) . Investor Chris Sacca said in a June interview that the move would be a "fantastic use" of Google's cash, and Jim Cramer argued in April that such a deal would be a good idea, saying Twitter "is a logical seller because it can't figure out how to monetize." 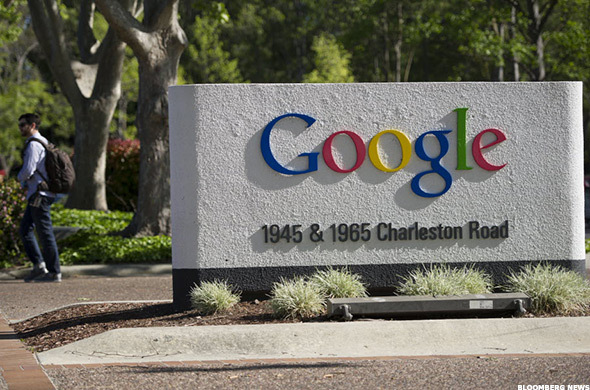 Google has $64.4 billion in cash, including $39 billion overseas. 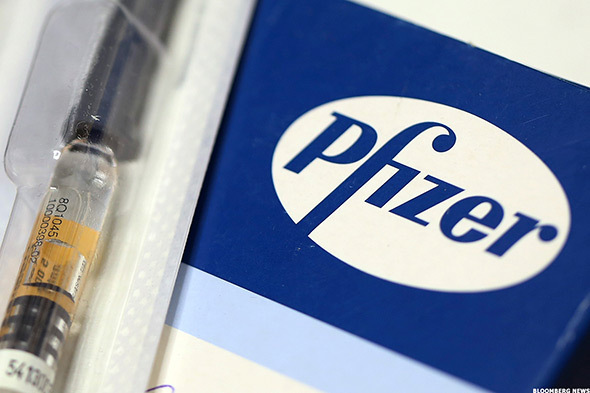 Pfizer has investors guessing on its next move as well. In January, Bloomberg pointed out that the pharmaceutical company has seen a number of potential deals fall through in recent months, including a $120 billion transaction to acquire AstraZeneca and potential agreements with Actavis -- now Allergan (AGN - Get Report) -- and Teva (TEVA - Get Report) . The company has found one target in Hospira (HSP , which it plans to buy for $17 billion. And on Monday, it announced plans to purchase two meningitis vaccines from GlaxoSmithKline (GSK - Get Report) for $131 million. Pfizer has $53.6 billion in cash. According to Purkiss, major health care companies like Pfizer always keep their eyes on the horizon when it comes to their cash. "The principal focus, nearly always, is making sure they have the correct pipeline or technology," he said. "The number one use of cash would be position the firm well to ensure that the top line outlook for the business is as good as it can be." 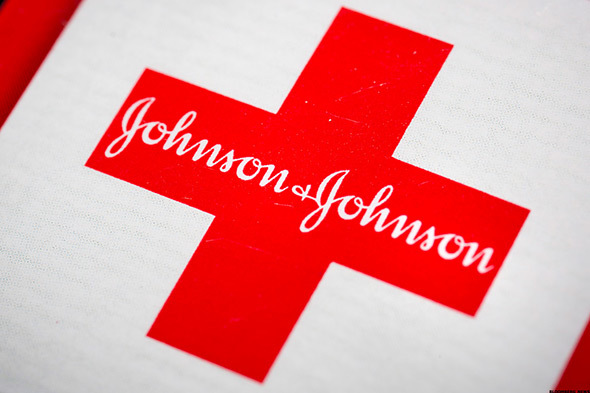 Fellow health care company Johnson & Johnson has been selling instead of buying in ensuring its top line outlook. It accepted a $2 billion offer from Cardinal Health (CAH - Get Report) to acquire its heart device unit, Cordis. The company, which has a $33.1 billion cash pile, is giving back to investors as well. In May, it announced a 7.1% dividend hike -- a move that Purkiss said is logical among big-name pharmaceutical companies. "Once they've exhausted the most useful options available to them in terms of trying to address the longer-term needs of the business, it would probably be to ensure the expectations of investors with regards to things like dividends," he said. 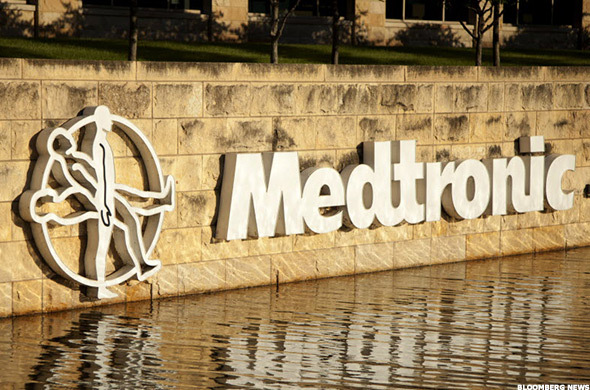 Medtronic (MDT - Get Report) has upped its dividend, too, and on June 19 announced a 25% hike in its payout for fiscal 2016. The world's largest maker of medical devices, Medtronic said the same day that it has acquired Cleveland-based CardioInsight Technologies in a transaction valued at $93 million. Medtronic's cash pile is valued at $31.1 billion. This article is commentary by an independent contributor. At the time of publication, the author held a position in MSFT.